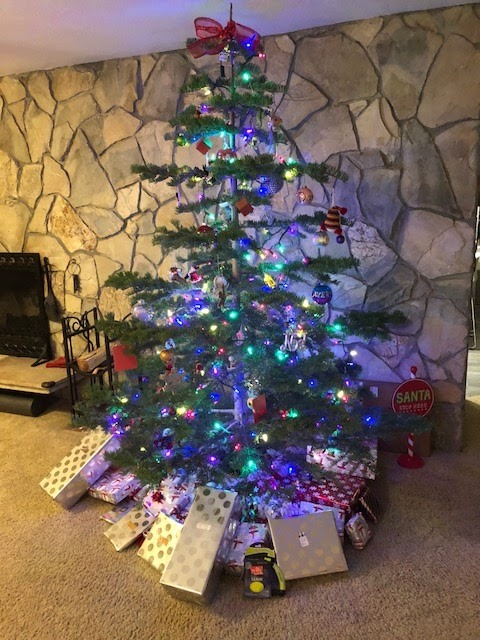 As promised, I am posting about our Christmas. 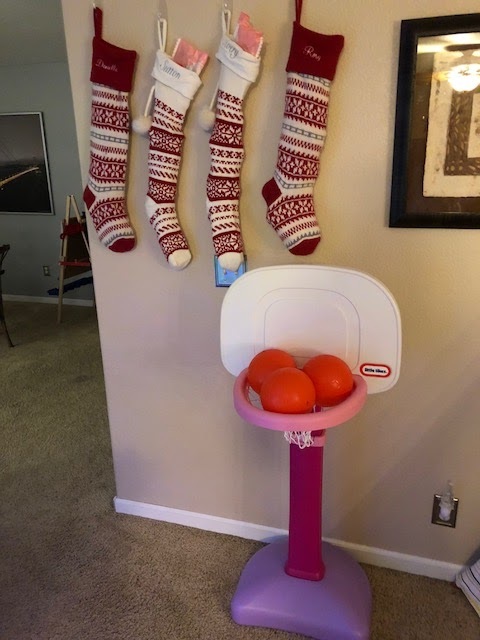 This Christmas was so much fun. 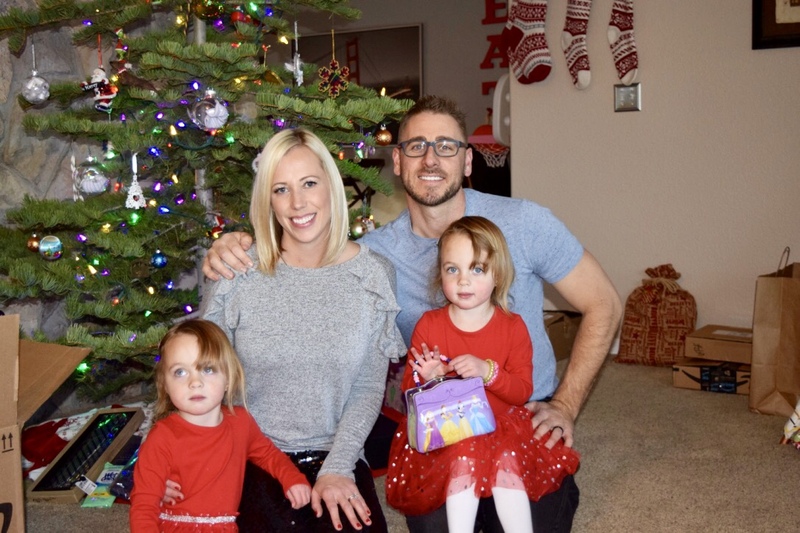 The girls were really into Santa, opening presents and family. Our Christmas celebration started on Christmas Eve. 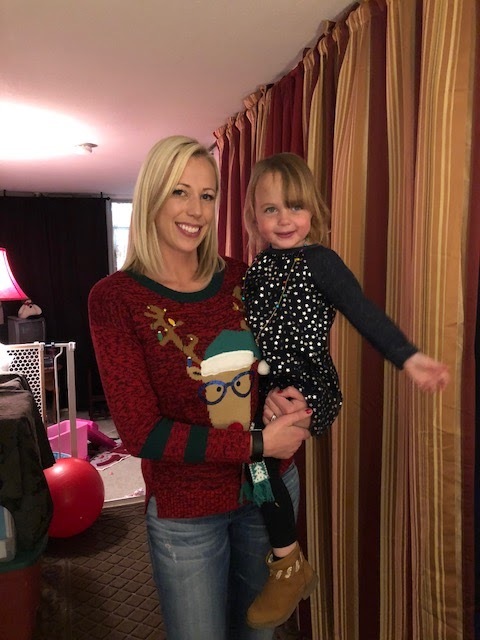 We went to our family friends house for their annual Christmas Eve party. 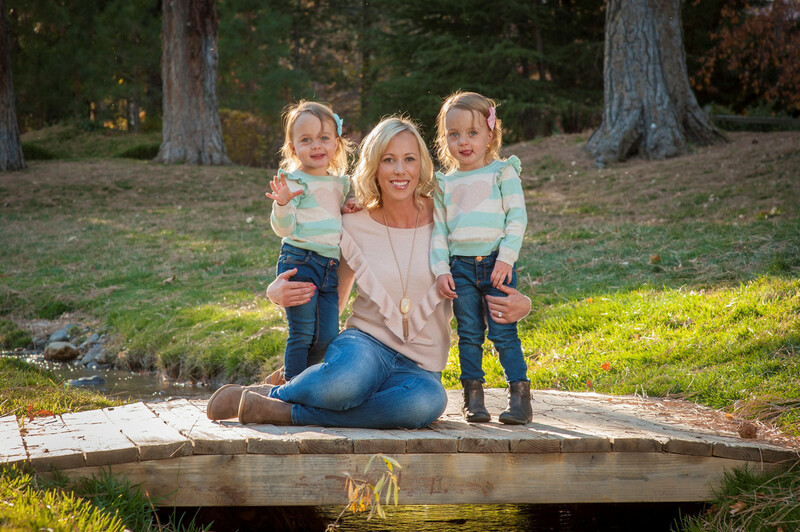 We haven't been since the girls were born due to their early bedtime. But this year we decided to let them stay up late (which they did for three straight nights). We were first to arrive since the girls had to go to the bathroom on our drive down. Nothing like being the first, but luckily they are pretty much family to me, so they didn't mind our early arrival. We ate so much food, watched A Christmas Story, hung out with some dear friends, had yummy cocktails while the girls ran wild. They played hide n seek with our family friend who was in town from NYC and tore through the playroom with the other kids that were there. It was an absolute blast. We left around 8:30 and headed home, well past the girls bedtime. 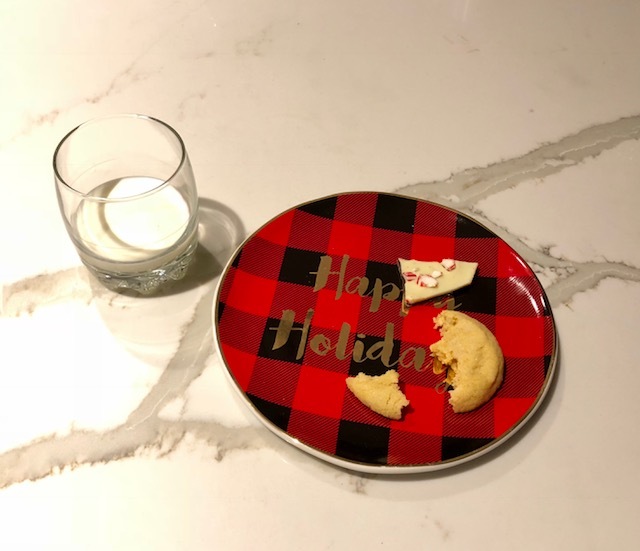 Once we got home, the girls picked out cookies (that I baked earlier that day) to set out for Santa and we poured a glass of milk. Once the girls were down and asleep, we got to working on putting some gifts together and setting everything up. We can't have gifts under our tree until Christmas Eve as Walter will tear into them early. Christmas morning came and the girls didn't let us sleep in even though they got to bed late. Rory went out to start the fire while I took the girls to the bathroom. Then they came running out to see where Giuseppe was and see if Santa ate the cookies and milk. They were so sad when they realized Giuseppe was gone. But they couldn't wait to open presents. The girls tore through their gifts soooo quickly. Sutton even got mad when I told her it was time to let Rory open a gift. You may have seen that on IG. Once the girls opened all of our gifts and gifts from Santa, we started making breakfast. I made some lattes for Rory and I while he cooked some bacon. We paired it with the cinnamon rolls I made the day before. 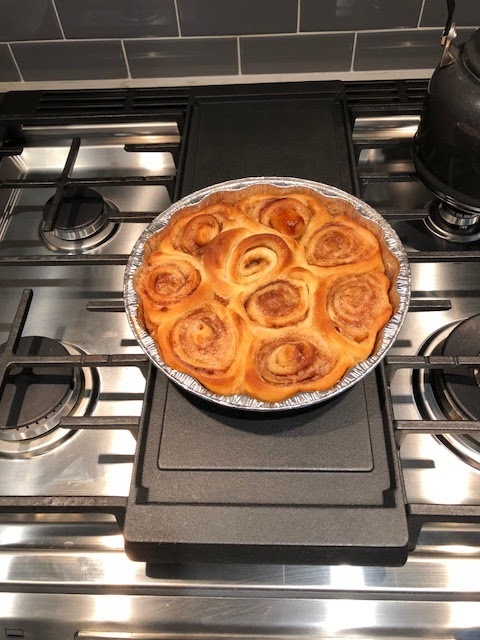 These cinnamon rolls were even better than last year. Between Rory, the girls and I, we finished one of the pans that morning. So good. After breakfast, the girls played with their gifts while Rory and I watched A Christmas Story and just sat by the fire. We did this until it was the girls naptime. Then Rory took Walter for a walk while I made homemade rolls for dinner. Spoiler: they tasted great, but were the funniest shapes. My parents, sister and my in-laws all showed up at 3 pm. 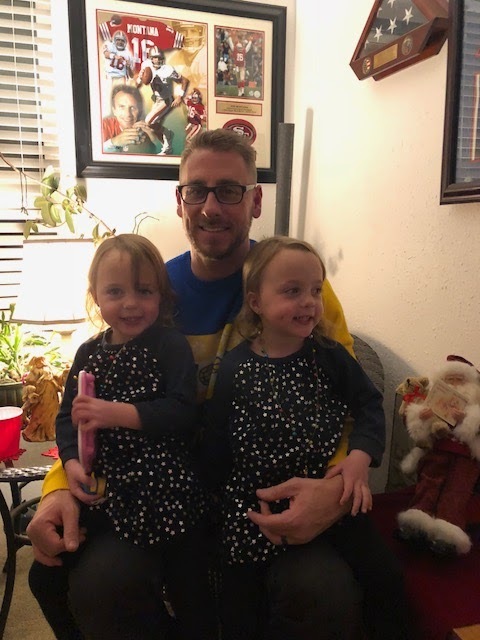 The girls had woke up from their naps a bit before that and we got them in their Christmas outfits. So cute. They wore the same outfits as they did in their epic Santa picture. Then it was time for their big gift reveal. 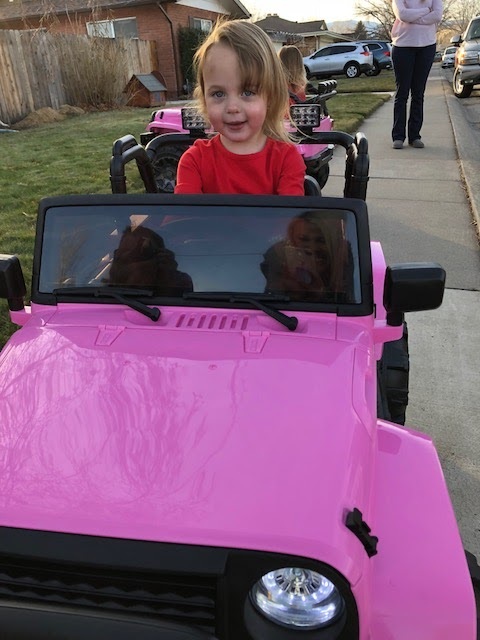 The girls got pink Jeep cars. 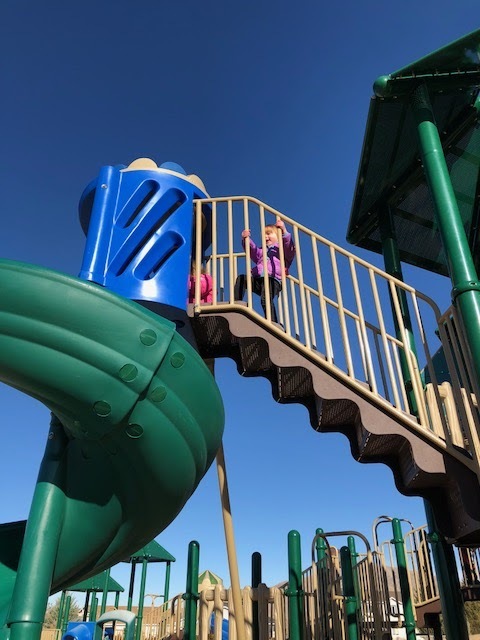 The girls screamed when they saw them and couldn't wait to get into them. Ok, Sutton couldn't wait. It took Avery a few minutes to get in. Once the girls got in, off they went. The cool thing about these cars is that it comes with a remote control for the parents. That way you can control where they go when they don't know how to quite use the Jeeps yet. Such a cool feature. Plus it honks, the lights work (headlights and taillights) and it plays music (you can even use an ipod or iphone to play music). The grandparents had a blast taking them around the block several times. They even went out a second time before dinner. 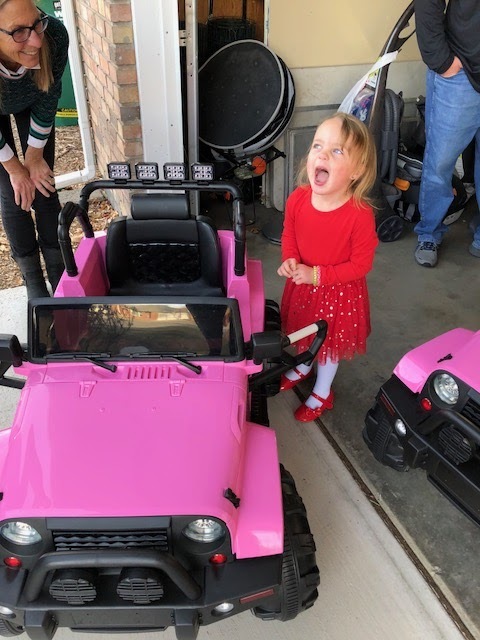 In between Jeep rides, the girls opened a bunch of gifts from the grandparents. Spoiled for sure! 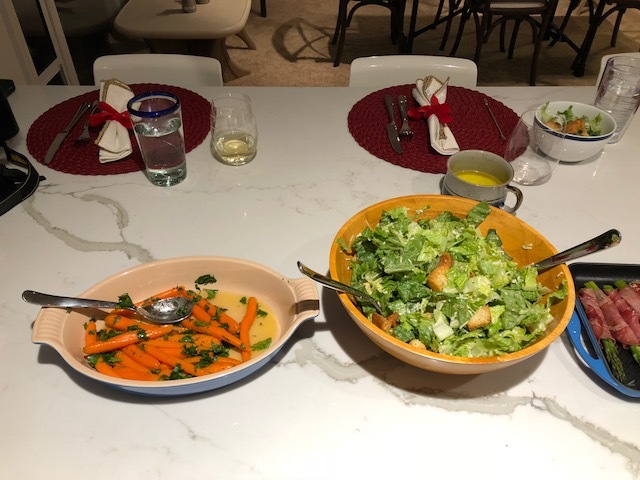 Then my sister and I got to working on dinner. 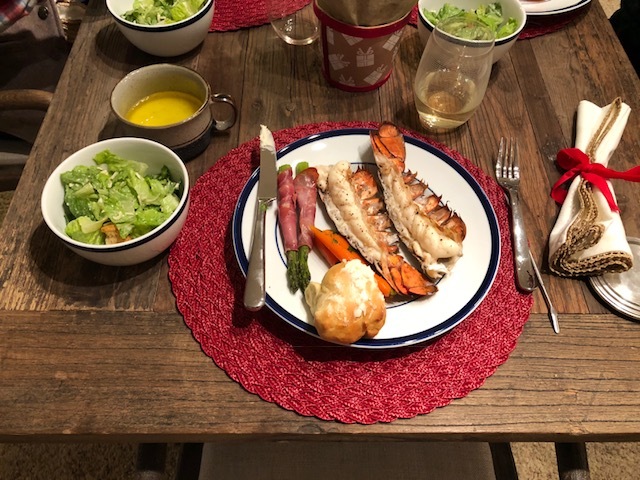 The menu consisted of: broiled lobster tails with drawn butter, proscuitto wrapped asparagus, glazed carrots, homemade rolls and cesar salad. Since we got a smaller table this year, we split everyone between our breakfast bar and the table. 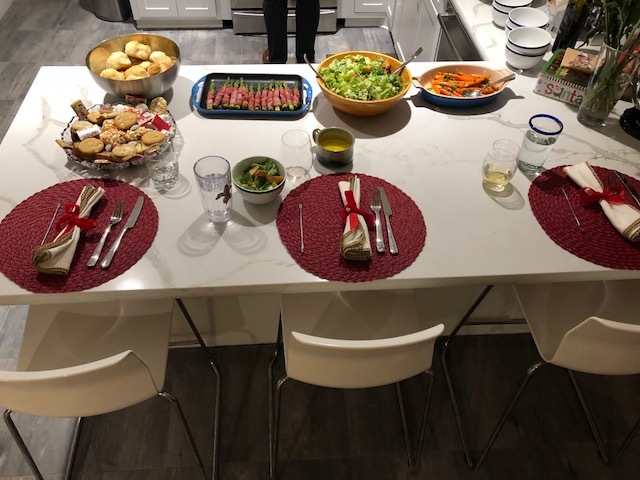 As you can see, the girls had some mac n cheese with their dinner and they sat at their little table on the left. Then we feasted....only to be interrupted by two toddler who had to go to the bathroom in the middle of dinner. We had yummy treats off a platter of goodies that my mom brought over. 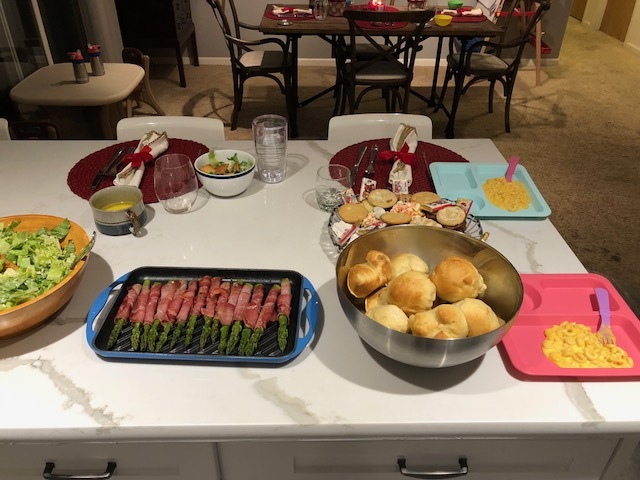 She handmade everything on the plate other than some chocolate that were on it. You can see it in the second photo up. After dinner, we all hung out by the fire talking while the girls played. It was a successful day and we were exhausted. The girls went to bed late again. 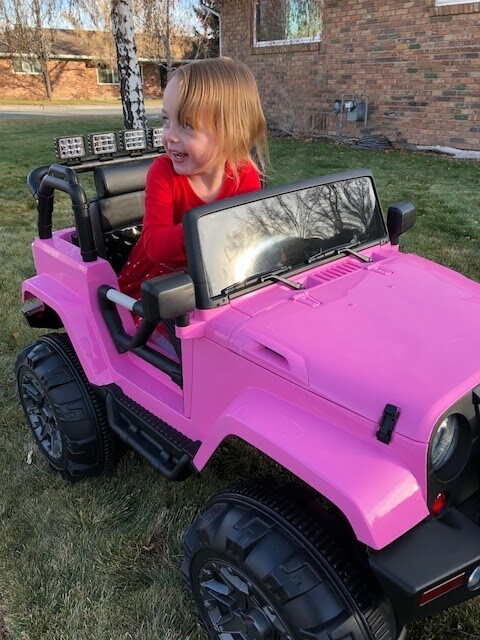 The day after Christmas, we took the girls to the park to burn off some energy and took the girls out on their Jeeps even more. That evening we went up to Rory's aunt and uncles house for another Christmas dinner. This time we had beef tenderloin, cheesy potatoes, salad, gravy and sauteed broccoli. The girls ate a bit, but they really went for dessert which was a chocolate cake/tart and pumpkin pie with ice cream. We had the day after off, but took the girls to school. We had every intention on going snowboarding but we have so little snow that it didn't work out. Plus I was still sick. Ugh. Rory took a hike and I took down almost all the Christmas decorations and organized and cleaned the girls room out. Two days later, we celebrated the girls birthday which will be in a separate post. I plan to combine their birthday day and their party into one post. Those pink jeeps are darling!! I'm so glad they had a great time! And I really need to try to make those cinnamon rolls next year! I want to eat at your house. Looks so good. Evie has only ridden her Jeep once. For a hot minute... Glad you enjoyed Christmas. Ahhh so the girls learned the elf leaves. A good year for them though. Oh man, those pink jeeps sound awesome! I will have to keep it in mind for Zoe in a year or two. 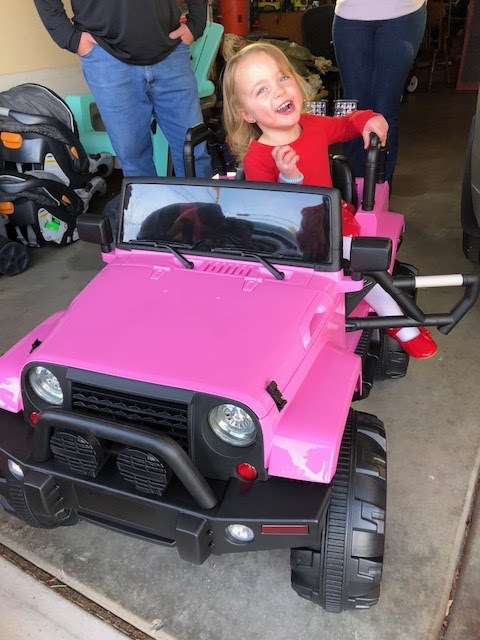 She got a little pink car for Christmas that we push her around in that she is obsessed with :) It sounds like you guys had a great time with family and friends and that the girls really loved Christmas! Yummy yummy food! The girls look so cute with the jeeps, I love that they are remote controlled! Sounds like a fantastic Christmas and birthday! Can't wait to see how that went! Happy New Year my friend! The girls must look so cute riding around the block in those jeeps! 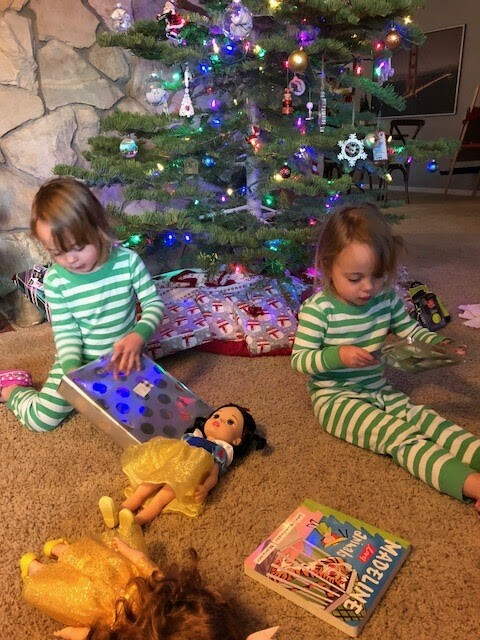 Christmas is so fun when kiddos finally understand it and really get into it. It looks like a wonderful one! 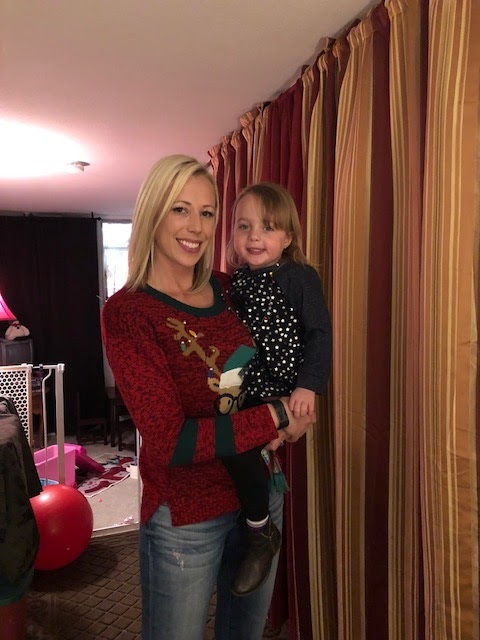 Such a fun Christmas!!! I bet they are loving their new cars! looks like such a great time! Love the pink jeeps! What a great celebration! My older son got upset when there were no more gifts to open up, so we let him help with ours. Next year I might just wrap up random things since opening was the big thing for him. The girls look so cute in their Jeeps!! What a great Christmas! It looks like they love their new cars! What a great Christmas.. those jeeps are so cute! Oh my gosh what an awesome Christmas!!! Those Jeeps!! How fun! 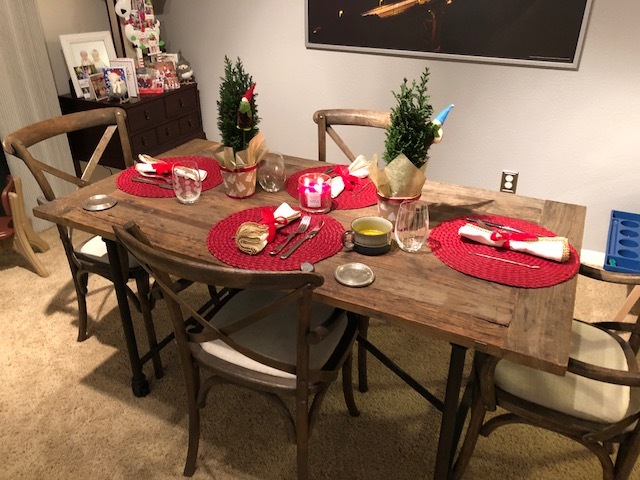 Your Christmas dinner looked AMAZING! 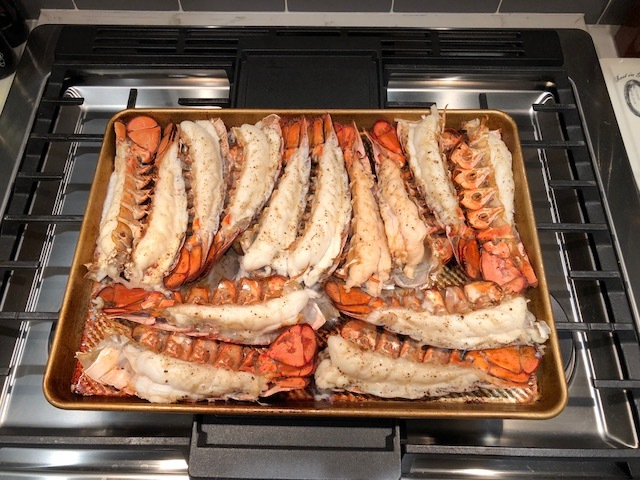 I'm going to try broiling lobster tails, that sounds so good and easy!